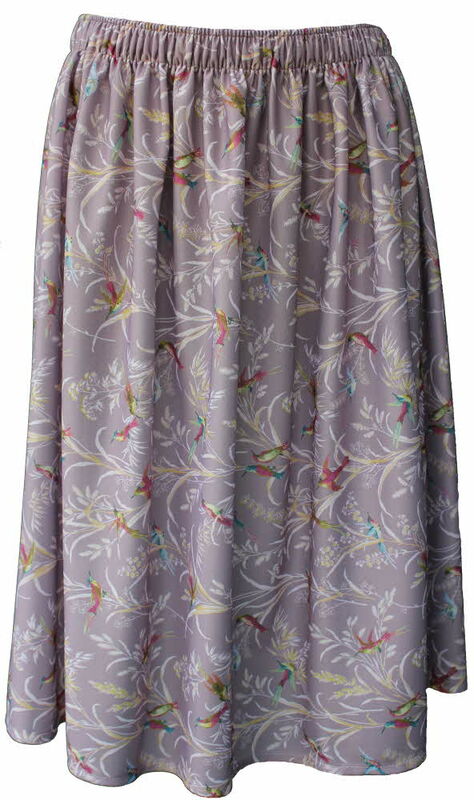 Ladies Lilac bird patterned skirt. The best eCommerce software by ShopFactory powers P595. All-in one eCommerce and shopping cart software.